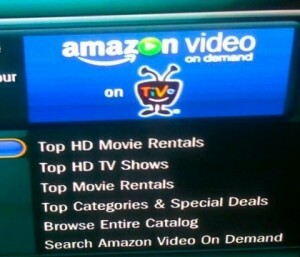 Amazon VOD in HD on TiVo – coming soon? Dave Zatz: After reading my post wondering where Amazon VOD in HD is, multiple sources have confirmed for me that TiVo’s implementation is currently in testing. While I still don’t have concrete timing details, and suspect we’re waiting on Amazon.com at this point, I’m told video quality is outstanding. Mari Silbey: GiiNii was perhaps the biggest surprise out of CES in January. The company seemed to appear out of nowhere with a brilliant line-up of CE devices including C-U-C-Me cameras, PixPlus Wi-Fi photo frames, and a touch-screen, Android-based handheld called the Movit Mini (think iPod Touch with an Android OS). Dave Zatz: It’s been awhile since we’ve talked Vudu here on ZNF, so it’s time for a 2009 status update. Dave Zatz: Meet the new BD-P1600 ($299.99), one of Samsung’s CES Blu-ray player announcements. This relatively slim piano black deck slipped into many Best Buys around the country over the last few days. Mari Silbey: Last week Slacker sent me some accessories to try including a G2 dock, car charger, and arm band. They’re all available online for under $30 along with an FM transmitter (for the car) priced at $39.99.